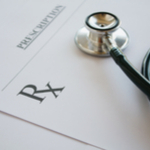 Drug Alcohol Treatment Center Orange County - Blog: Prescription Opioids for Mental Health Disorders? Prescription Opioids for Mental Health Disorders? People living with a mental health disorder of any kind should stay clear of mind-altering drugs, from marijuana right on to opioids. Yet, a significant percentage of people suffering from depression or bipolar disorder will use drugs and/or alcohol to cope with their symptoms of untreated mental illness. In the field of addiction medicine, co-occurring mental health disorders are common place. That is when somebody is diagnosed with addiction, and another form of mental illness. Addiction professionals work hard to treat both conditions in order to increase a patient's chances of long-term recovery. Co-occurring mental illness is not a new concept. There should not be a licensed, practicing physician in the country who is unfamiliar with dual diagnosis cases. Doctors who treat patients with any form of mental illness should avoid prescribing a mind-altering narcotic, such as OxyContin, unless it is absolutely necessary. The propensity for abuse is staggering. Unfortunately, despite the need for physicians who are versed in the nature of addiction and mental illness, it would seem that most fail to see the danger of prescribing opioids to mental health patients. New research published in the Journal of the American Board of Family Medicine, has some shocking figures that should be considered. Some Opioids With Your Depression? Researchers from Dartmouth-Hitchcock Medical Center found that patients with anxiety and depression are disproportionately prescribed painkillers, INDIESOURCES reports. 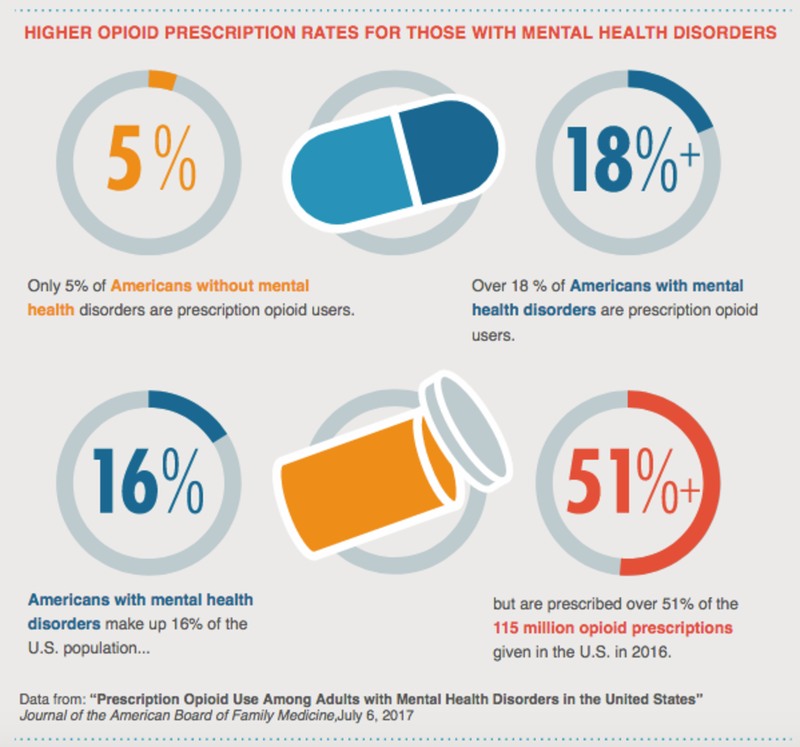 Almost 19 percent of American adults with mental health disorders (38.6 million) use prescription opioids, compared to 5 percent of patients not touched by mental illness. This next figure might floor you, so brace yourself. There are 115 million opioid prescriptions distributed each year across the country, adults living with depression and anxiety receive 51 percent of those prescriptions, according to the study. Keeping that figure in mind, Americans with mental health disorders only make up 16 percent of the U.S. population. 51 percent of opioids to 16 percent of the population? “Because of the vulnerable nature of patients with mental illness, such as their susceptibility for opioid dependency and abuse, this finding warrants urgent attention to determine if the risks associated with such prescribing are balanced with therapeutic benefits,” said Brian Sites, an anesthesiologist at Dartmouth-Hitchcock and study co-author. The study did not look into whether people with depression and anxiety are, in fact, injured more than the general public. Enough to warrant the market share of all opioids. But, we can probably be assured that the answer is absolutely not. What is more likely is that a number of people with untreated mental health disorders are attempting to mitigate their symptoms by way of drugs that produce euphoria and pain relief. Opioids can dull both physical and emotional pain. In the long run, however, using opioids to escape the symptoms of anxiety or depression will only lead to dependence, addiction and a heightened potential for overdose. It will also make your symptoms of mental illness worse, over time. If you are self-medicating your mental illness with opioids, please contact Hope by The Sea today. We can effectively treat both the addiction and co-occurring mental health disorder.